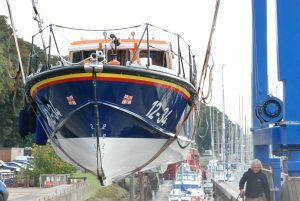 Aldeburgh Lifeboat Station’s All Weather Lifeboat, the Freddie Cooper, is heading down to Poole for a refit. Some of the crew went down to Ramsgate, earlier in the week, as the station will have a relief lifeboat, another Mersey called Margaret Jean. The crew brought the relief boat to Aldeburgh from Ramsgate on Tuesday 11th October, arriving at the beach at approximately 1pm. Crew then sailed the Freddie Cooper down to Levington Marina on Thursday 13th October, where she was lifted out and then driven down to Poole by road. The refit is expected to take about 2 months. Demon Yachts Ltd are very excited to have taken over the running of the Aldeburgh Boatyard. Building Dragons, Metre Boats, several members of the Loch Long and Lapwing class, and many one-off builds such as a replica of Blondie Hasler’s ‘Jester’. Restorations such as the 8 metre ‘if’, several 6 metre class yachts and many, many others besides. We hope to continue Aldeburgh Boatyard’s fine history! 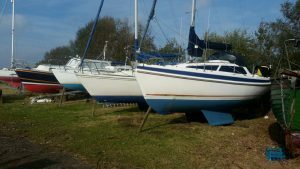 The yard is capable of launching and recovering yachts up to 12 tonnes and we have plenty of space for winter storage, costs available here. We can also carry out all kinds of GRP and timber repairs, yearly maintenance such as antifouling, anode replacement etc, and can carry out all types of rigging work, engine servicing etc either in house or via a network of suppliers and specialist contractors. A lifesaving charity has signalled its own call for help in finding new volunteers. 54th AGM of the Aldeburgh and District Lifeboat Guild. The guild is currently experiencing difficulties in recruiting volunteers. Veda Crane (left) is standing down as chairman and there is no one to take her place. 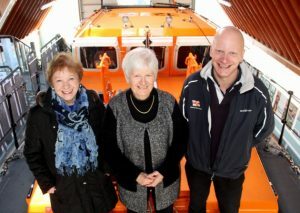 Rosemary Trigg (right), who has managed the lifeboat shop for eight years in a voluntary capacity, is also retiring. The Aldeburgh and District Lifeboat Guild was founded 54 years ago – but it now faces a recruitment challenge. The Lifeboat Guild in Aldeburgh is looking for more volunteers for the shop. In 2015, more than £91,000 was raised at the lifeboat shop, run for the last eight years by Rosemary Trigg. 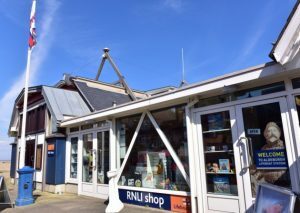 Anyone interested in volunteering to run the shop should call 01728 452552 or email aldeburgh@rnli.org.uk for further information. To express an interest in joining the guild committee, contact secretary Viv Holt on 01728 688448. A tireless volunteer has been recognised for her “dedication, commitment and length of service” to a lifesaving case on the Suffolk coast. Sandra Saint has been awarded the prestigious Gold Badge from the trustee board of the RNLI, in acknowledgement of four decades supporting Aldeburgh Lifeboat Station. 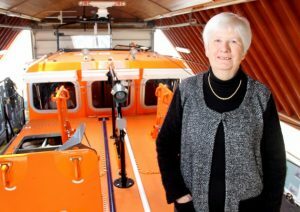 Mrs Saint joined the Aldeburgh and District Lifeboat Guild in January 1975 – when it was known as the Lifeboat Ladies’ Guild – and has since been committed to help raise money for the cause, catering single-handedly at the charity’s many fundraising functions, including quiz nights attended by up to 50 people. Her husband, Nigel Saint, was the lifeboat mechanic from May 1961 until October 1993. Their son, Steven, joined the Aldeburgh crew in 1989 and is now the coxswain – meaning that, between them, the Saint family has served the RNLI for a century. The RNLI awards three levels of badge – bronze, silver and gold – in recognition of service by guild members. The Aldeburgh and District Lifeboat Guild was formed in 1962 with the purpose of raising funds to help the local RNLI save lives at sea. 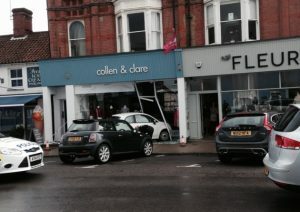 A car has crashed into the shop front of Collen & Clare in Aldeburgh High Street this morning. Suffolk Constabulary were called to the crash just after 10.15am. 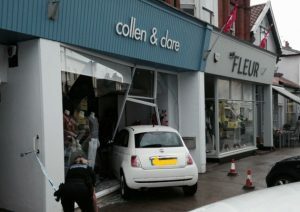 A Fiat 500 has crashed into the front of the clothes shop. A Suffolk police spokeswoman said a female driver, believed to be in her seventies, was the only person in the Fiat at the time of the crash. She added that staff at the shop were not hurt as they were towards the rear of the shop at the time of the crash. It is believed the shop will be open tomorrow. A dedicated fundraiser received a special message of thanks at a gathering held in her honour. 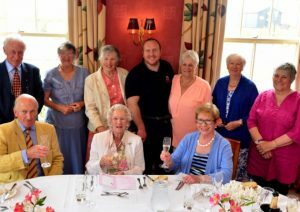 The committee of Aldeburgh and District Lifeboat Guild hosted a farewell lunch for Jo Turnbull at the Wentworth Hotel yesterday. She joined in July 1987 and helped raise thousands for the lifeboats with her husband, Dr Adam Turnbull, who was treasurer and in charge of collecting boxes for many years. Both are now in their 90s and Mrs Turnbull has decided to leave Aldeburgh for sheltered accommodation in Bury St Edmunds, close to the sheltered housing complex where her husband lives. Mrs Turnbull, already the owner of a silver badge for loyal service to the charity, was presented with a letter of thanks from RNLI chairman Charles Hunter-Pease, OBE. Aldeburgh Post Office. Copyright EADT 2015. Customers in an east Suffolk town will have improved post office services this summer following a partnership deal with a major retail business. The East of England Co-op has agreed to take over as postmaster in Aldeburgh to ensure essential post office services for the town and nearby villages are modernised and safeguarded. East of England Co-op will take over the current post office next door to its food store in High Street. The post office will close for refurbishment on June 9, reopening on June 19. It will feature two modern screened positions at the current location, which will open with increased hours Monday to Saturday, 9am to 5.30pm. At the food store there will be a new post office serving point, alongside the retail till, offering selected services during shop opening hours, Monday to Saturday, 8am to 9am and 5.30pm to 8pm, and on Sundays from 9am to 8pm. The new-look Aldeburgh Post Office will enable residents and small business customers to access a wide range of Post Office and mail services, including international parcels, Special Delivery, Local Collect and home shopping returns, make cash withdrawals from a Post Office Card Account, send funds abroad using Moneygram, pay bills, buy holiday money, get insurance, mortgages and savings and top up mobile phones. As the traditional banking network declines, customers for 95% of UK banks can use their post office for online banking cash deposits and withdrawals and bill payments. 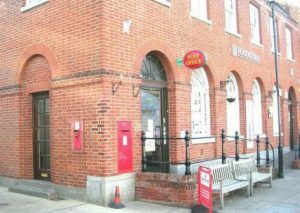 While the post office is out of action for the refurbishment, customers will be able to use the facilities at Leiston Post Office, Sizewell Road, Leiston, or Snape Post Office, Church Road, Snape. 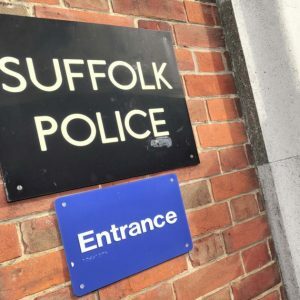 Police have reassured residents that they are not planning to cut the number of officers on patrol in east Suffolk, despite axing a number of police stations. Police stations will be closed. Copyright EADT 2014. Both Saxmundham and Aldeburgh will be losing their stations, the latest communities to do so – both destined to make way for housing. But the stations are not open to the public – except for advertised drop-in surgeries or public forum meetings – and are mainly used as a base and office accommodation for police officers who are working in the area. The force said the presence of officers in communities would not be reduced, and it was seeking alternative and more cost-efficient accommodation for the teams. Many of the smaller town and village police stations around the county are too big and expensive – especially their heating – to run. Suffolk Constabulary has applied for permission to knock down Saxmundham police station and use its quarter-of-an-acre site to build four new homes. One pair of semi-detached homes would face on to Station Approach and the other on to New Cut. 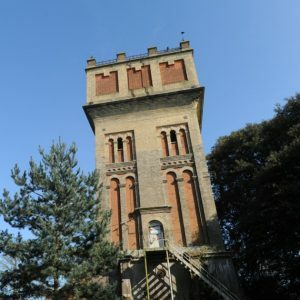 Town councillors though are against the demolition and want the single-storey building listed as a “community asset” so they can spearhead plans to use it as a possible youth centre. Permission is also being sought to demolish Aldeburgh police station in Leiston Road, Aldeburgh, and replace it with five detached homes. 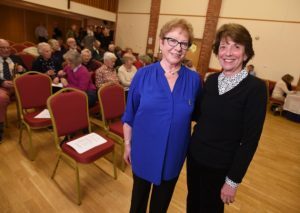 It is understood that negotiations are taking place to provide new accommodation for officers patrolling the Saxmundham area in the Fromus Centre, while talks are also under way over a new location in Aldeburgh. Suffolk Constabulary is aiming to make the new premises in market towns more central and convenient, as well as being cheaper. Consent was given previously for the police station in Badingham Road, Framlingham, to be converted into a house with a new house built on land alongside. A deal was struck for accommodation for the police officers at the town’s fire station. Approval was also given last summer for Bungay police station to be replaced with a two-storey house. Arrangements were made for a Safer Neighbourhood Team (SNT) office elsewhere in the town. 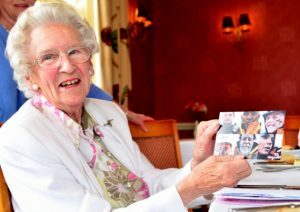 A ground swell of support is being shown to honour the life, work and memory of an inspirational Suffolk woman. Last week, The EADT called for a fresh and fitting memorial to Aldeburgh’s first female mayor and Britain’s first woman doctor, Elizabeth Garrett Anderson, after seeing the sadly vanishing inscription on her headstone, in the town’s St Peter and St Paul churchyard. As the 100-year anniversary of her death approaches, our appeal to commemorate the medical trailblazer and social reformer is beginning to gather pace. Although epitaphs surely fade with time, there is clear agreement in Aldeburgh that Garrett Anderson’s legacy is something to proclaim with pride. Business leaders are set to discuss the matter later this week, while heritage groups and even direct descendants have also shared their support. Last week, EADT editor Terry Hunt was joined by current mayor Sara Fox, and Revd Canon Nigel Hartley, vicar for Aldeburgh, in recognising the incredible contribution made by Garrett Anderson, who is still regarded as a medical pioneer and upholder of women’s rights. Garrett Anderson was a member of Suffolk’s famous engineering family, and became the first Englishwoman to qualify as a physician and surgeon in Britain. She also co-founded the first hospital staffed by women, was the first female member of the British Medical Association, and become England’s first female mayor. Naomi Tarry, whose Best of Suffolk holiday cottage agency lets a converted stable block once owned by the family, agreed to raise the matter as chairman of the Aldeburgh Business Association. East Anglian Daily Times Online. Published 3 July 2013.